Sunrise Today Australia – Get it now! Source: Sunrise Today Australia – Get it now! Free Ap for your mobile and Tablet…includes over 15,000 photos…travels all over the world….Translink, BUGS Ukulele Group, and Sunrise Today..and more.. 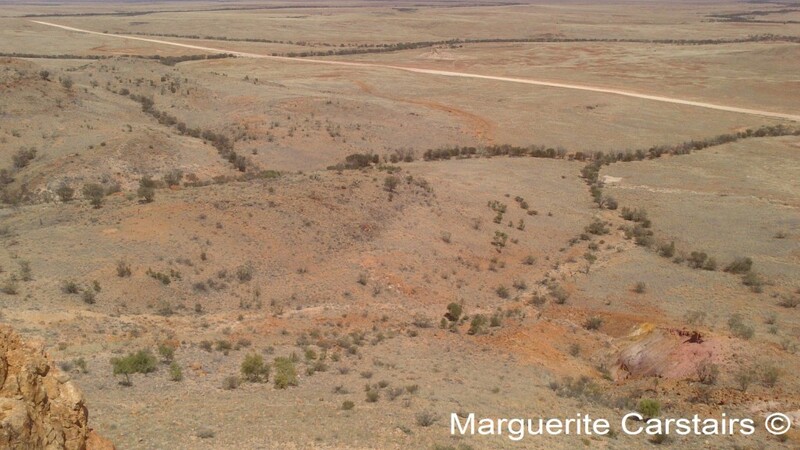 It started from a property called Clifton Hills, the largest cattle property in Australia, where a drilling team worked for 3 months to drill a new bore. The first bore had a problem when they reached either a cave or soft sand when the bore could not be stabilized, and an error of judgement dropped the drill and they had to pull it all up again and move to another site a mile away. 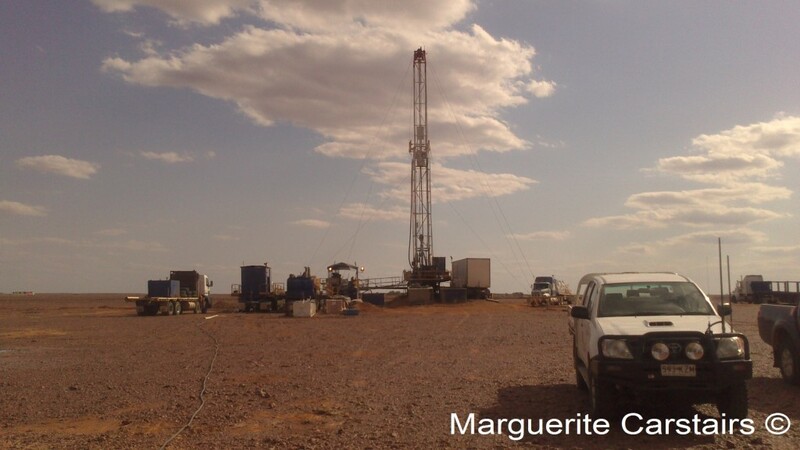 The drilling time was thus doubled and the team stayed there in the Stony Desert for another month. 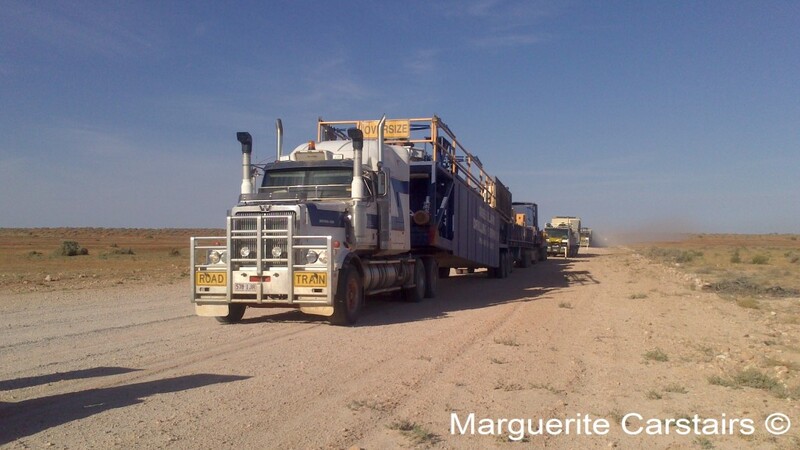 Then when the job was finally done and boiling bore water gushed forth, the whole operation was packed onto 6 Road Trains, and along with 2 4WD’s, transported to the next job at Jundah. I asked if I could ride in a Road train and I did..
Clifton Hills Station is 132 kms south of Birdsville on the Birdsville Track. Flat tyres slowed the journey. and we arrived at Birdsville in the evening where the convoy camped in the area near the Birdsville Racecourse for the night. After overnighting at Birdsville, and drinking the end of the job at Birdsville Hotel, next day we drove as far as Jundah, 480 kms, along the Birdsville Developmental Road and camped overnight there on the Sporting Reserve where I booked into the Hotel to enjoy a night. The next day the convoy drove to the next job where they set up, and then a 4WD took us back to Brisbane and home with another stop at Mitchell. 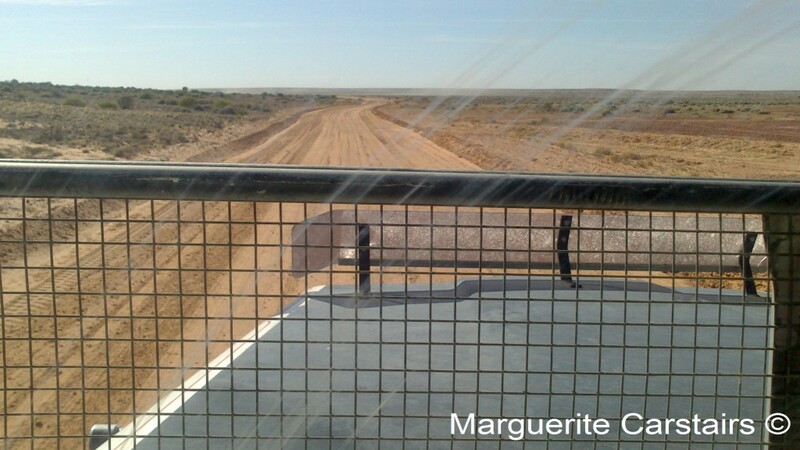 I left at midday with George, who was driving machinery at the new subdivion at Bedourie, to overnight at Windorah and experience the trip overland. It was all desert..sand, scrub, the occasional rock..flat, dusty and dry. 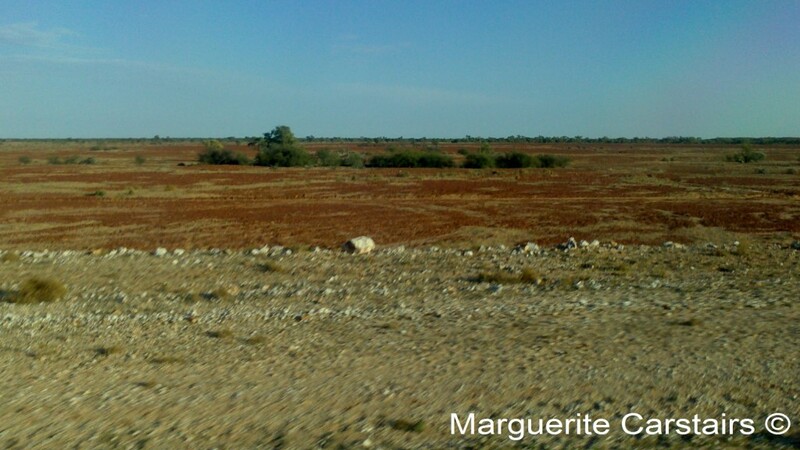 Sometimes there was a tree…..it is very dry and very sparse in vegetation. 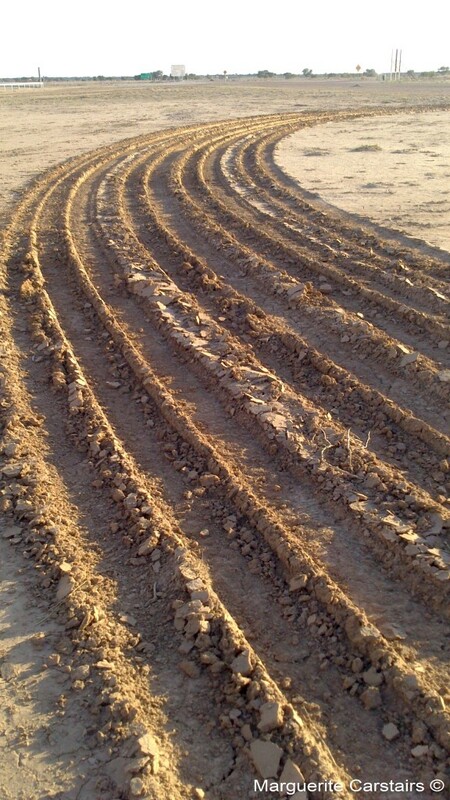 There were rocks…and a dried river bed…. A public toilet in the middle of no-where…we stopped here for a stretch…the toilet is self sufficiency…and was clean and airy. Red sandhills in the distance break the monotony with a splash of color.. 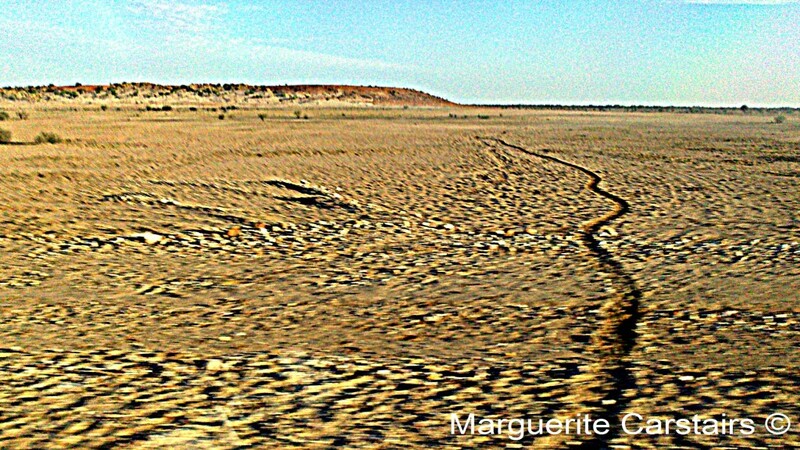 The famous Red Sandhill about 40 kms from Windorah. We did not have time to stop and look as George had another 900 kms to drive to his home. Yes..when the rains come, this whole area will be flooded. Right now one cannot imagine it even raining here. 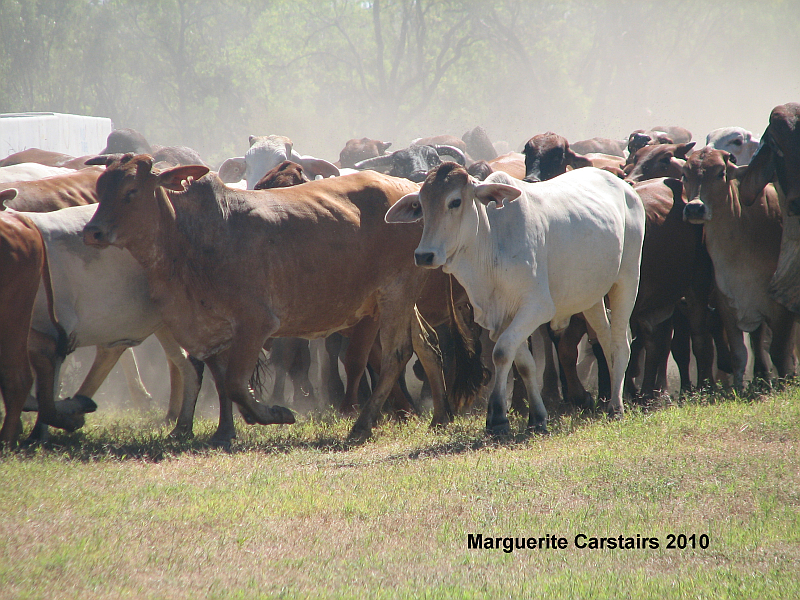 This is the next Cattle Station and the holding yard was full of cattle. Cattle cross the road. Just previous to this a cow wandered forlornly looking at her calf recently dead on the road. We have arrived at Windorah and George left me at the hotel where I was to stay the night. Walk at Bedourie along the levee bank road…..
On my day off I went for a walk …across the oval, past the medical Centre, over to the Levee Bank and along there to the Holding Ponds to see the birds. It was far too hot to sit in the sun and wait for the birds, so I simply walked back. I had walked from one end of the town to the other and it took 30 minutes. Charleville ( /ˈtʃɑrlɛvɪl/) is a town in south western Queensland, Australia, 758 kilometres by road west of Brisbane (the Queensland capital). 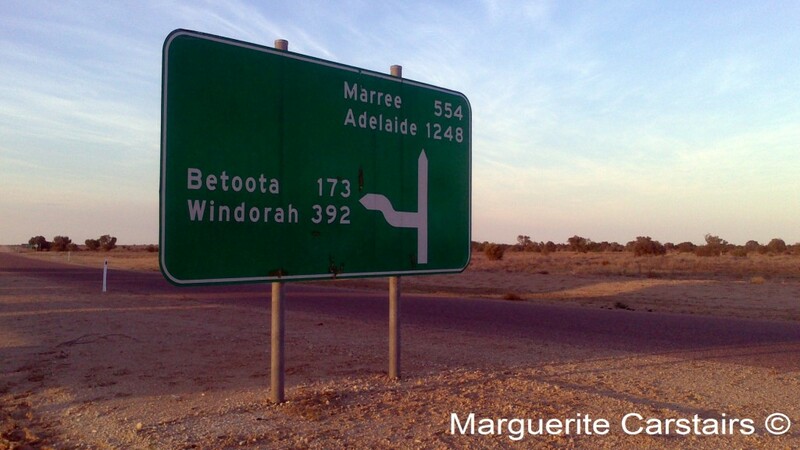 It is the largest town and administrative centre of the Murweh Shire, which covers an area of 43,905 square kilometres. 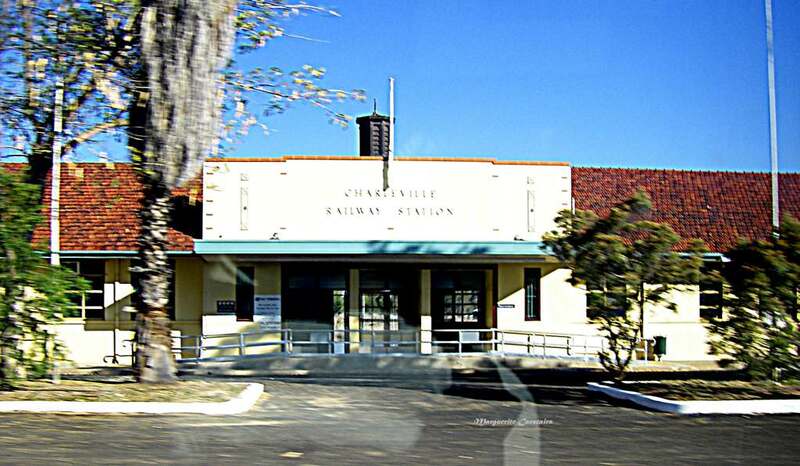 Charleville is situated on the banks of the Warrego River, and is the terminus for the Warrego Highway. The first European exploration of the area was conducted by Edmund Kennedy in 1847. A hotel was built in 1865, and a town began to grow to service the region. It was situated near Gowrie’s Crossing, a permanent waterhole, now on the outskirts of the modern town. 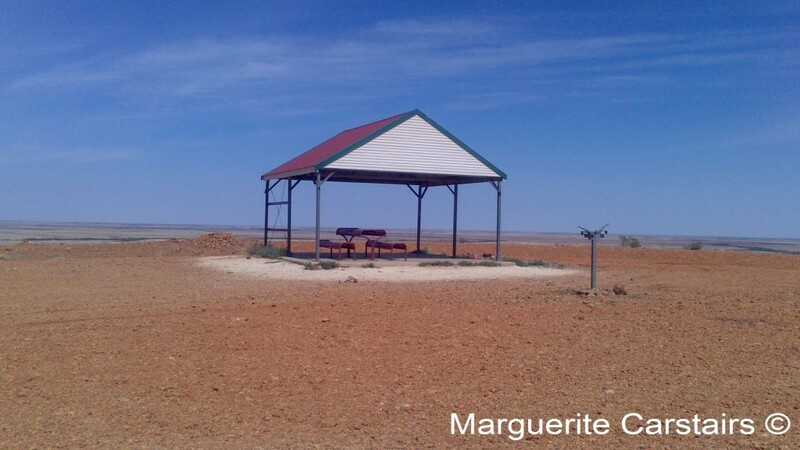 Gowrie Station had been established around the crossing along a natural stock route, for the grazing of sheep and cattle. The town was gazetted in 1868 with very wide streets to enable bullock teams of up to 14 pairs to turn with their wagons. It was William Alcock Tully, then government assistant surveyor, who laid out the town’s streets. An Irishman, Tully probably named the town after the town of Charleville, County Cork, Ireland. Members of the Roma based Skinner family established a store in the town in 1872 that became known as the Warrego Stores. Cobb and Co, the legendary Australian stagecoach company, established a coach building business in the town in 1886, however, the railway arrived in 1888, beginning the long demise of coach transport in the area. Proximity to the Warrego River was problematic. In April 1990, major floods hit western Queensland, with Charleville being badly affected. Floodwaters peaked at 8.54 metres, over 1,000 homes were inundated, and almost 3,000 persons evacuated. More recently, the district suffered flooding again in 1997, 2008 and March 2010. Flooding also occurred in February 2012. The Charleville Cosmos Centre takes visitors on an astronomical journey through the ages and across various civilisations – under some of the clearest night skies in the Southern Hemisphere. The spectacular clear night skies of Outback Queensland offer some of the world’s best best sky watching conditions. Learning about the mysteries of the night skies & the Aboriginal legends of the stars, are all part of the fun at the Cosmos Centre. the machinery shed displaying horse drawn vehicles including a Cobb & Cocoach, ; old engines; carts and farming equipment. the original coach house is to be restored. Travel West provides direct contact with Graham and Deb, the same people who travel on our journeys with you, and provide advice, commentary and support. We are a fully licensed travel agent (no.1463) and member of the Travel Compensation Fund, so while your security and peace of mind is assured, you have the benefit of speaking direct with the owner and operator before and during your holiday. I did not even see the Caravan Park which is in the centre of the town and boasts its own opal fossicking area. 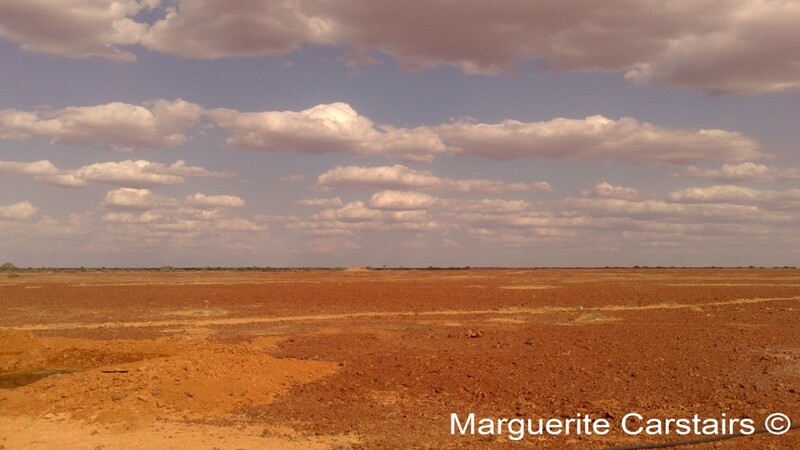 Quilpie is a town situated in the Channel Country of South West Queensland, Australia. The town is the administrative centre of the Quilpie Shire Local Government Area. 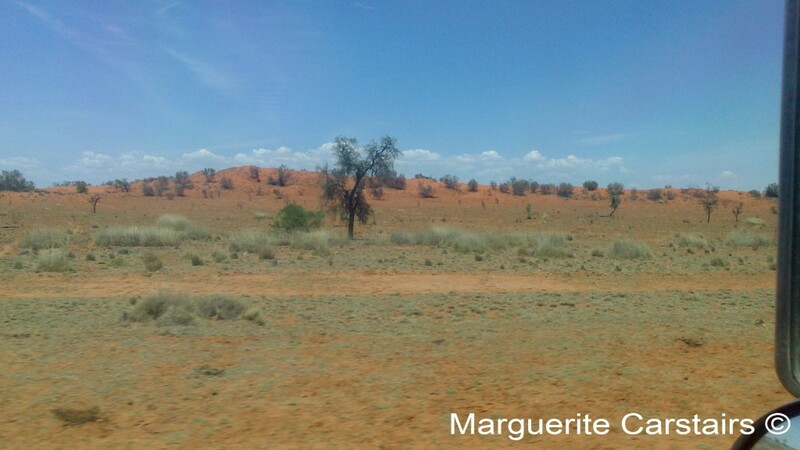 At the 2006 census, Quilpie had a population of 560. The economy of the area is based on the grazing and mining industries. The area has one of the largest deposits of boulder opal in the world, and also has extensive deposits of gas and oil. 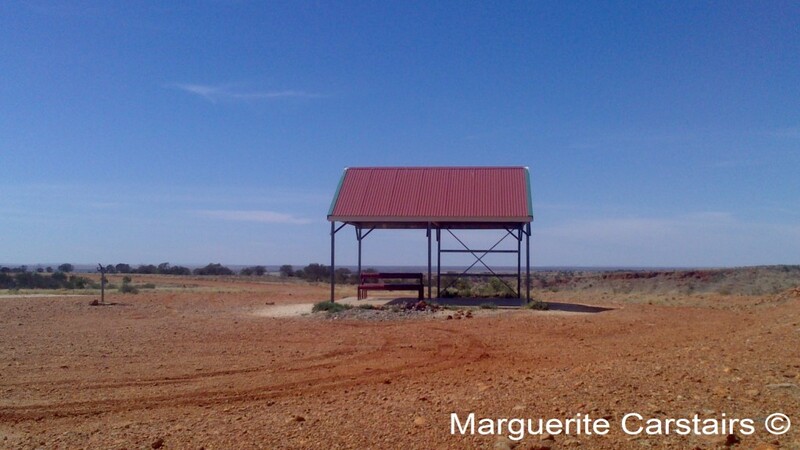 Quilpie was gazetted as a town in 1917 owing to the railway that was laid down from Brisbane. The town is believed to lie on the border of the Bunthamurra and Mardgany Indigenous Australian tribal areas. The local government centre was previously Adavale within Adavale Shire, but this was moved to Quilpie with the availability of rail transport and the name change to Quilpie Shire. It takes its name from the Indigenous Australian word for stone curlew, quilpeta. The first post office was opened in 1921. Two years later the telephone reached Quilpie and in 1927 the first court house in the town was established. Trip took 3 days..first night at Camila Beach, then 45 kms past Bowen and then Ravenshoe and here…2,012 kms distance traveled. Was very exciting. Loved the trip and found the roads and weather excellent. The Toyota drove well..was wonderful trip. Love the property. Its right next to a lagoon and very green and very beautiful. Will do photos next week. I can use the internet weekly so will prepare for it. Its a very beautiful part of the world, many birds and trees and beautiful colors. Love the people I am working for..Bill and Maxine and the team love my cooking. I shall never want to leave here I can see. So far done nothing but cook. Today the muster started. It is done with a helicopter who finds the cattle and directs the team to collect them and take them to the fenced areas for all they do to them. Then it takes 5 days for this lot to be done, and then the helicopter comes for the next part. I will know more as I see it happening. 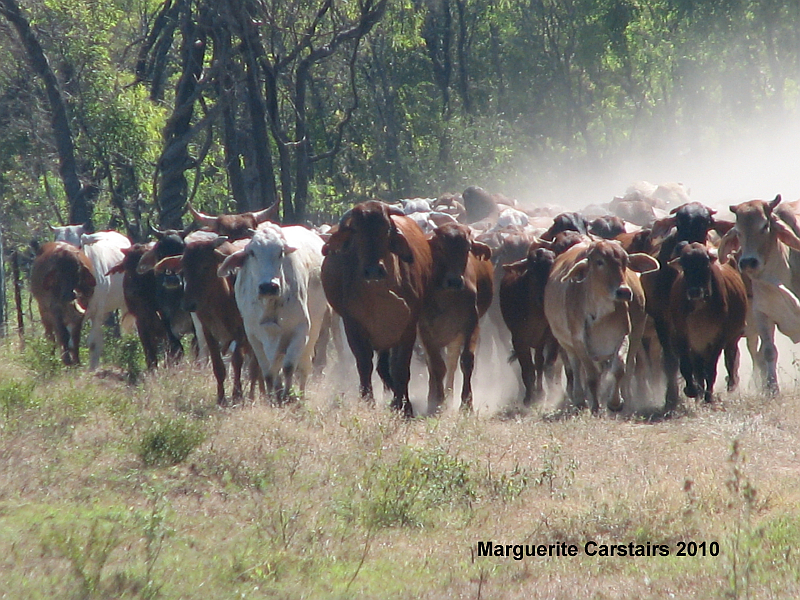 I hope to be poking around the sheds with a camera and get some photos…want one of the cattle being led in, dust around, as they come towards the shed. They killed a huge beast for meat, and I have mince and steaks and huge roasts to prepare. The guys will eat 2 Porterhouse a meal. I am amazed. I have never seen so much meat before. Last night I cooked salted meat for lunch today. They make their own salt beef here and its delicious. Cooked in in a crock pot overnight. Today I will make a huge roast fort tomorrows lunch, and have steaks for dinner when they return. They have taken a cut lunch…sandwiches, cake, scones and fruit. They eat very well here. I am sure I will be fat in 2 months with all this good cooking, and eating, I am doing here. This is this weeks adventure…today the muster has started, and soon the yards will be full of brahmin and motor bikes, and action. Yesterday the muster started. 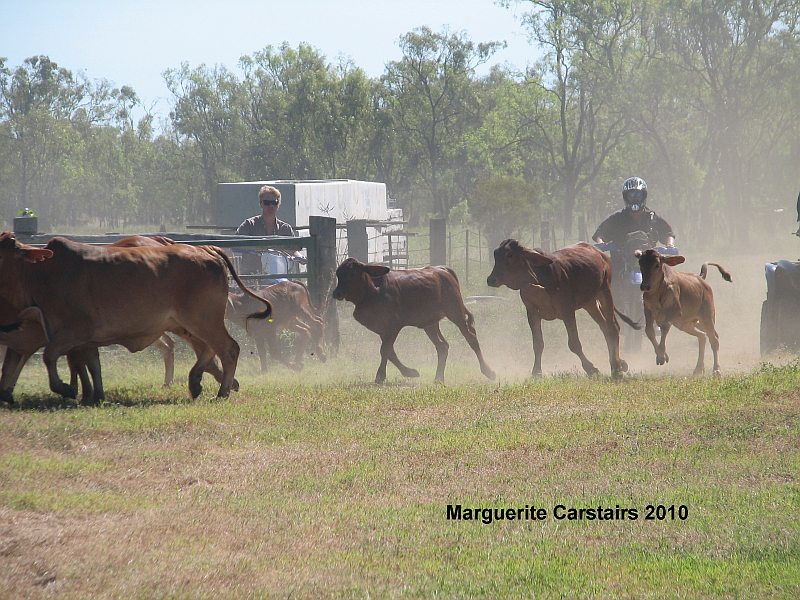 A helicopter locates the cattle, and then they are driven down to the house yards. Today they will dip them and inject them after sorting them into weiners, calves, pregnant and fat. This property is a breeding property where they breed Brahmin cattle. The property is one of a few properties. Others fatten for the overseas market. The meat from here goes overseas. It is of a very high quality. The meat that was killed for the kitchen has so far been a flap roast, salted meat and an irish stew, and the food is delicious as the quality of the meat, and vegetables here, is very high. On the way at Milla Milla I saw a tea plantation and bought some local tea which has a wonderful flavor. The countryside between Innidfail and Ravenhoe is all very mountainous. That is where the tea grows. I also took photos of a Wind farm. Ravenshoe claims to be Australia’s highest town. It was scary driving up these steep inclines in the first and second gear. The views were spectacular but as the driver, I was more concerned with getting the van up the hill and over. Today the team are giving the 600 cattle in the yard injections and the dip. They will work these cattle for about 5 days and then the helicopter will return for the next muster. I hope to get some aerial shots if I get lucky.